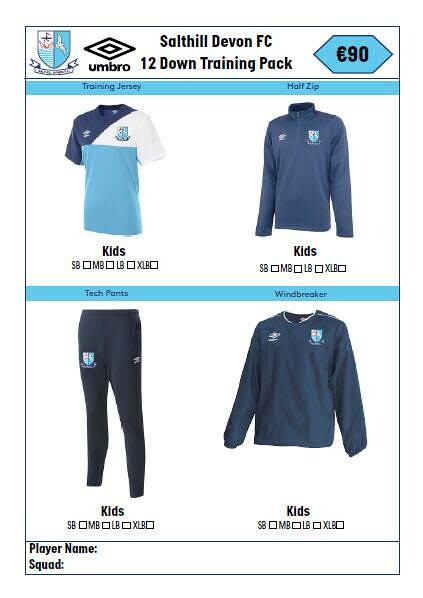 Welcome to the Salthill Devon shop! 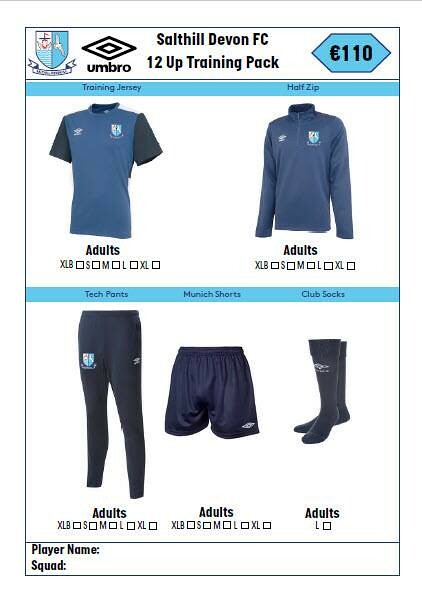 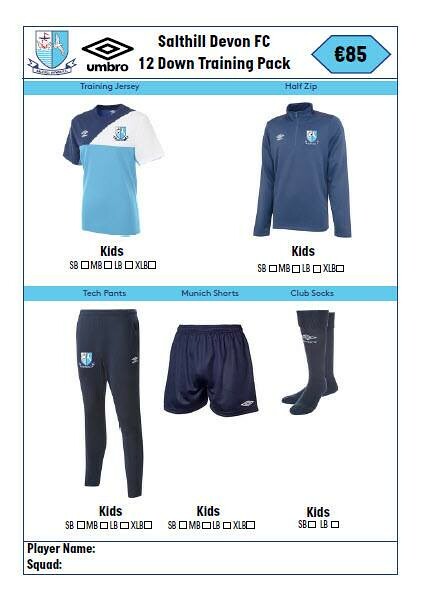 We now have Umbro Kit Combinations available for all of our members. 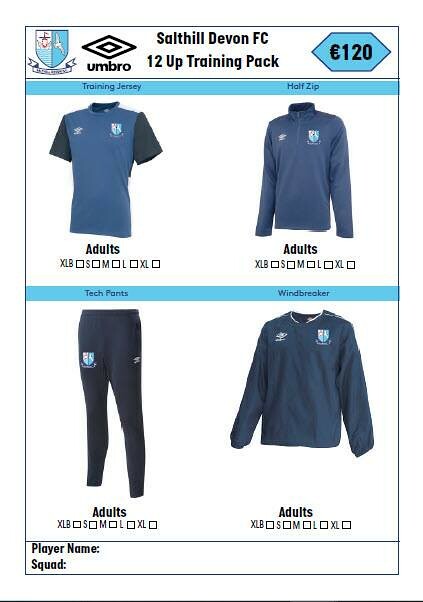 Our new kit supplier Umbro will be present on site in Drom Saturday 10th Nov for a "Fitting Day"